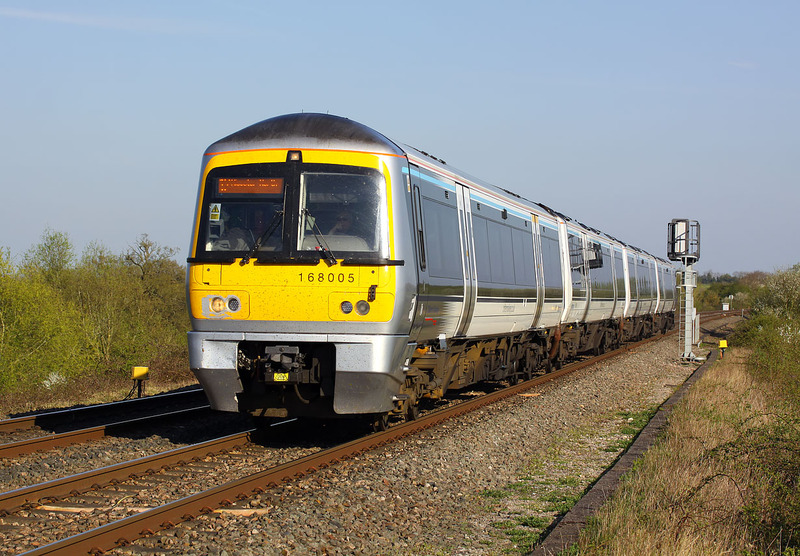 168005 passes Launton on 21 April 2015 with the 1N56 16:50 Marylebone to Bicester North Chiltern Railways service. Photo taken from a little used public footpath crossing. As the railway is on a high embankment at this point, you would have thought the footpath would pass underneath using an occupation bridge.